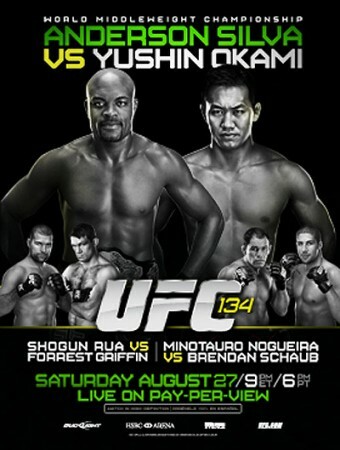 Prior to Forrest Griffin leaving to Brazil Forrest said “I fight Mauricio “Shogun” Rua for the second time at UFC 134 in Rio de Janeiro, Brazil. I won the first fight four years ago and that was really a good night for me. You can tell that just by how stupid I acted after the fight. The whole momentum, finishing the fight with 14 seconds left, it was one of those things – in that fight I didn’t think he was gonna stop me, and I’m not gonna quit so I figured I’d win. And it’s the same mentality this time. I’m gonna try and go forward, I’m gonna fight him and I’m not gonna back down. I’m not gonna fall down and crumble, and every scramble, I’m gonna scramble with him. 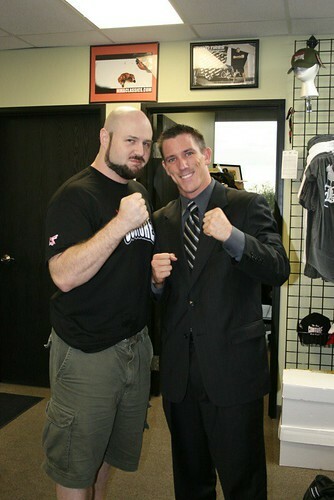 Come down to Xtreme Couture MMA tomorrow night at 5pm and watch the fights at the gym. We will show it on a large 20′ projector screen and all the TV’s around the gym. Get an up close look at the action and backstage reaction from Randy, Forrest, Dana White and Lorenzo Fertitta as Mike Straka brings you behind the scenes at UFC 86. Triumph United is holding its first every Year End Awards. You can cast your vote here. Forrest Griffin guest stars tonight on NBC’s hit crime drama “Law & Order: SVU”. The episode is titled “Fight” and focuses on a murder somehow related to an underground fighting league. Forrest plays a bad guy and word is steals the show. Law & Order: SVU airs on NBC at 10pm ET/PT. Xtreme Couture fighters capped off an incredible week Saturday night in Anaheim. Tyson Griffin won his 3rd “Fight of the Night” Award after defeated Thiago Tavares; and Forrest Griffin shocked the so-called experts by choking out Mauricio “Shogun” Rua. The weekend saw Xtreme Couture fighters beat a Chute Box fighter, a Brazilian Top Team fighter and a fighter who trains under Josh Barnett and Erik Paulson. Since August 25th, Xtreme Couture fighters are 12-1. With all of the talented athletes in the gym pushing and mentoring each other we look to keep the streak going with several tough fights coming up in October and November.